For the cut and “V” Grooving Milling of Composites panels up to mm. 12.000 long. (f.e. : Alucobond). Machines either with Manual or Automatic motion. 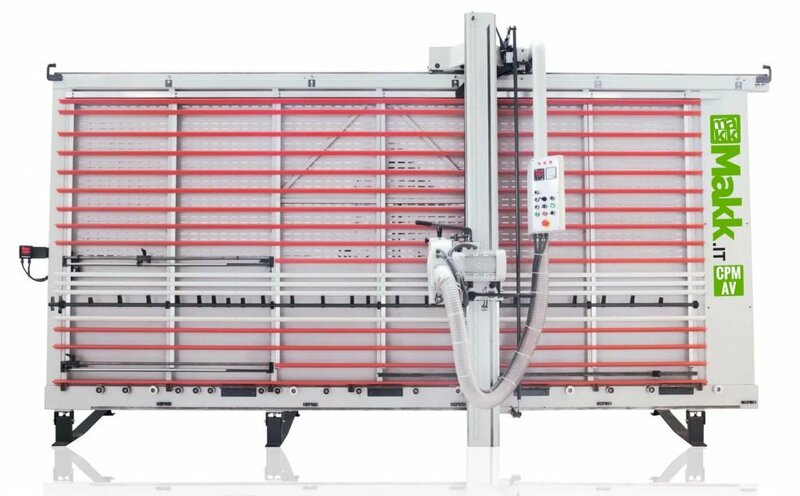 In all models it’s included the patented system for the passage from the cutting function to millings in 1 second by a proper selector on the control board. Machines with the best quality/price ratio on the market. On all models it’s standard the kit for angled cuts. 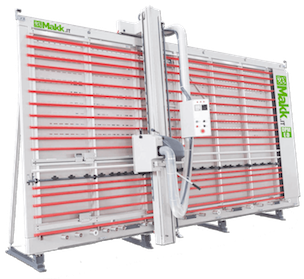 The Vertical Panel Saws MAKK for the Customers who want a Reliable but Cheap product. Ideal for small Carpentries and small BRICO Shops. 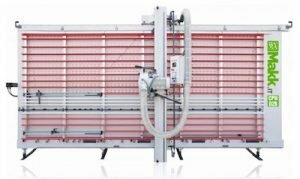 You will find even the Cheapest Model on the Market for Cutting Panels with Thickness up to mm.80 (Mod.DPM-300). Discover even all other models. 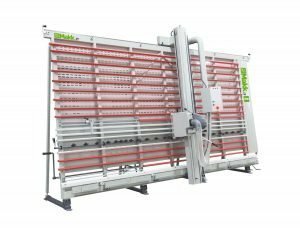 We have 4 different Models of Automatic Vertical Panel Saws MAKK, among these ones the Vertical Panel Saw DPM-AV is a Fully Automatic machine with Cut Programming System from PLC. 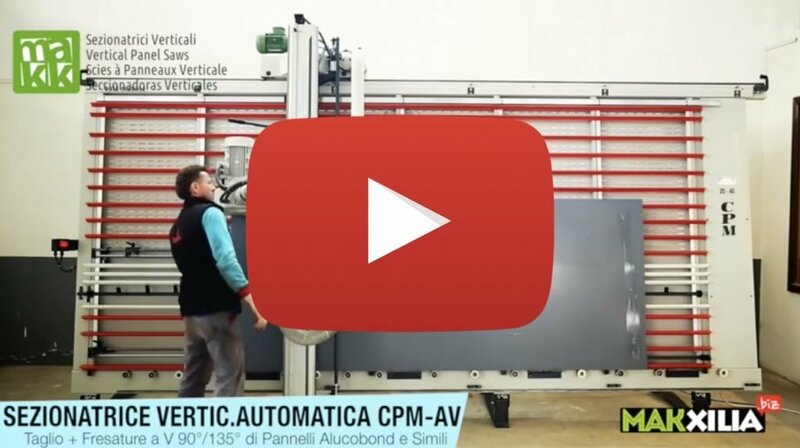 On the contrary, the Vertical Panel Saw DPM-KS is a machine with System of Positioning and Movement of panels through pliers, all controlled from the Control Board. Discover all other models. For the cut and “V” Grooving Milling of Composites panels up to mm. 12.000 long. 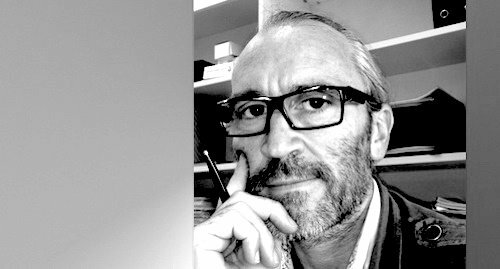 (Es: Alucobond, Dibond, Alupanel, ecc…). Machines either with Manual or Automatic motion. 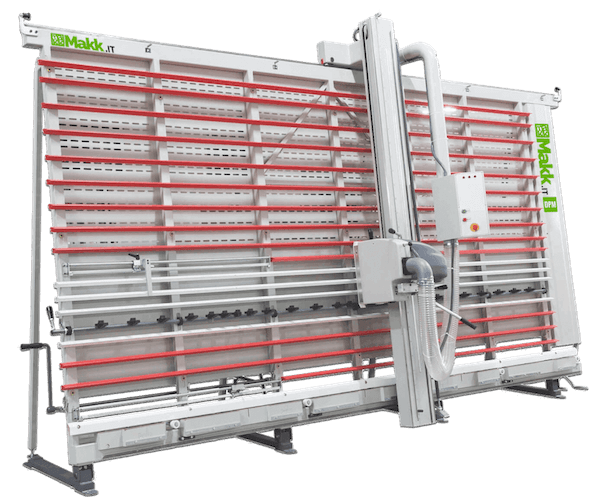 In all models it’s included the patented system for the passage from the cutting function to millings in 1 second by a proper selector on the control board. Machines with the best quality/price ratio on the market. On all models it’s standard the kit for angled cuts. 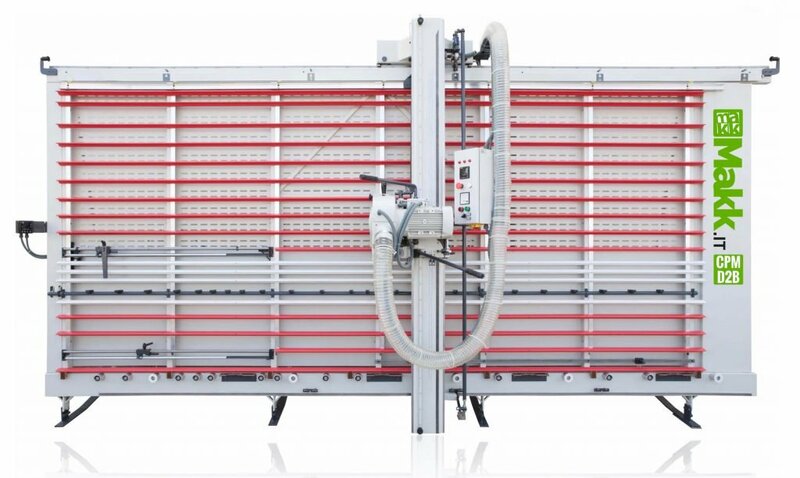 At an incredible price a vertical panel saw to solve your problems of work and production. 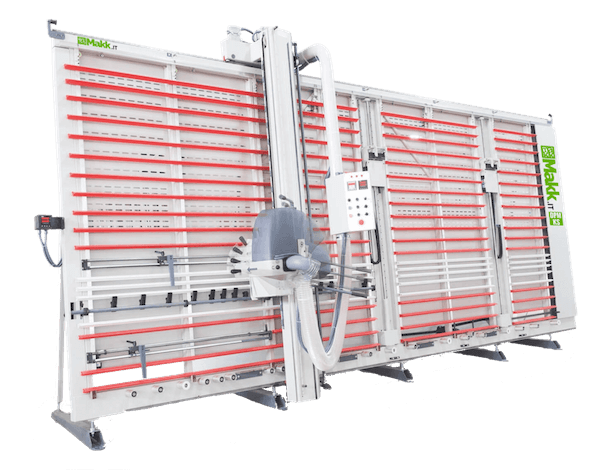 A Vertical Panel Saws V-Grooving that allows you either to cut or to make V-90-degree millings on panels made of: Alucobond, Dibond, Alupanel, Etalbond, Alucore, and other types of composite panels. Going from a working to another one without disassembling anything, moving a selector, only, in the control panel. Unique and exclusive at a Special Price!! Why to buy a second-hand machine with all question marks that would give to you? Has the machine been kept always in order? 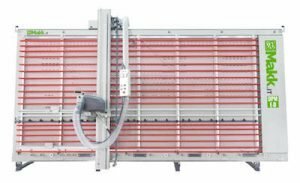 Certainly sliding guides are worn, therefore the machine will cut badly. Which guarantee will they give to you? 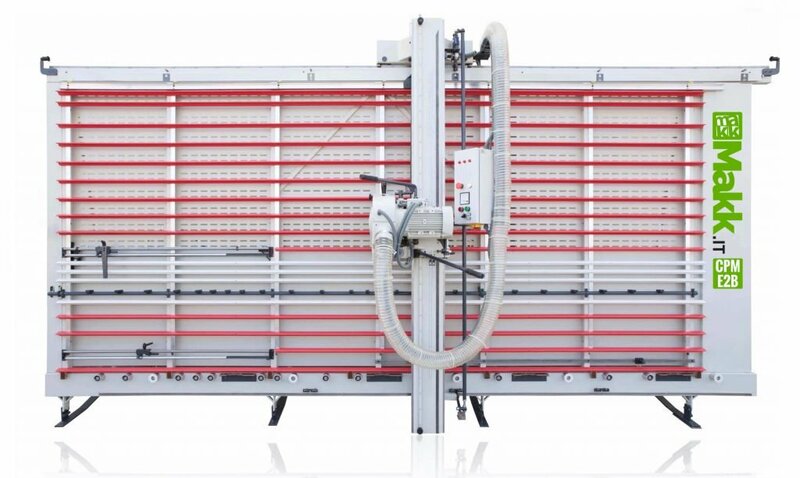 We propose you a new Vertical Panel Saw at the price like a second-hand machine. An incredible price, with 24 months of guarantee. Cut of panels mm. 4100×2200, with scoring group.